From Evernote to Google Drive to CamScanner there are plenty of mobile apps that you can use to snap a picture of a whiteboard or paper note and have that turned into a PDF. Now Microsoft is trying to get into the same game with the latest beta version of OneDrive for Android. 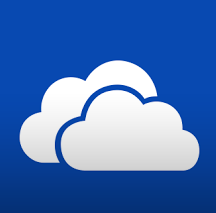 In the latest beta version of the OneDrive Android app you can open the app, tap scan, and digitize any physical note. The note will be saved as a PDF in your OneDrive account. If you or your students are already using OneDrive then you will probably appreciate this new feature as it will make it easy to save sketches and notes. If you're not already using OneDrive, this is not a reason to switch to it because there are other apps that do the same thing.